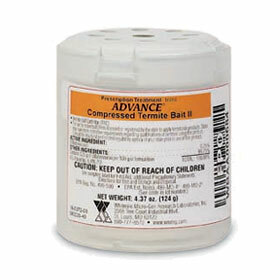 Now, the Advance TIC contains over 33% more termite bait and will last longer than the older green label cartridge ever did! Control more termites for longer periods of time with this great Advance Bait cartidge! Insert this cartidge into the termite bait system when termites are present to monitor. Would you like to see the Advance Termite Inspection Cartidge MSDS?